Glö helps couples stay organized and stress free, show off their unique personality and have fun while planning their wedding celebration! Offering über-personalized paperless wedding invitations, wedding websites, smart RSVPs and guest messaging tools. All of their paperless designs have matching paper or printable versions to go as paperless or paperfull as desired. Glö believes that going paperless does not mean sacrificing personal pizzaz or sophistication. Glö was created from a need that the founders had when planning their own wedding. They have helped save almost 20,000 hours of planning time, over $80,000 in stamps, countless hours of stress therapy and lots of trees. How great is that? They offer über-personalized paperless wedding invitations, wedding websites, smart RSVPs and guest messaging tools. 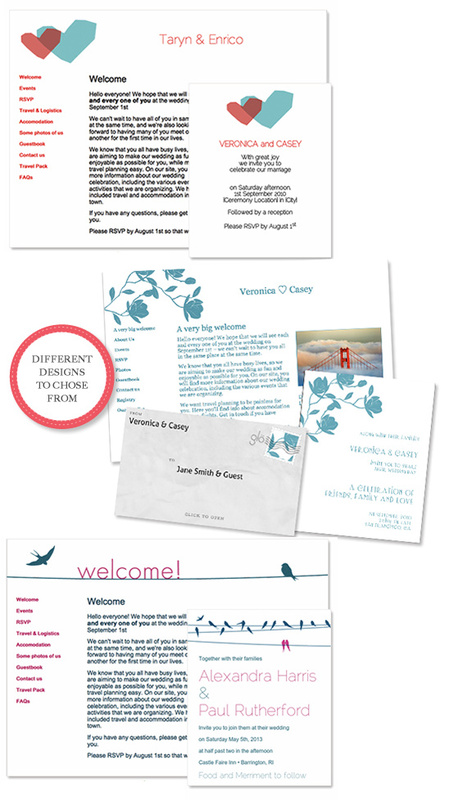 All of our paperless designs have matching paper or printable versions to go as paperless or paperfull as desired. • Add unlimited RSVP questions, seamlessly collect responses, and view them online or download them to a .csv file. Guests can edit RSVP responses for their entire household, preventing duplicate RSVPs. 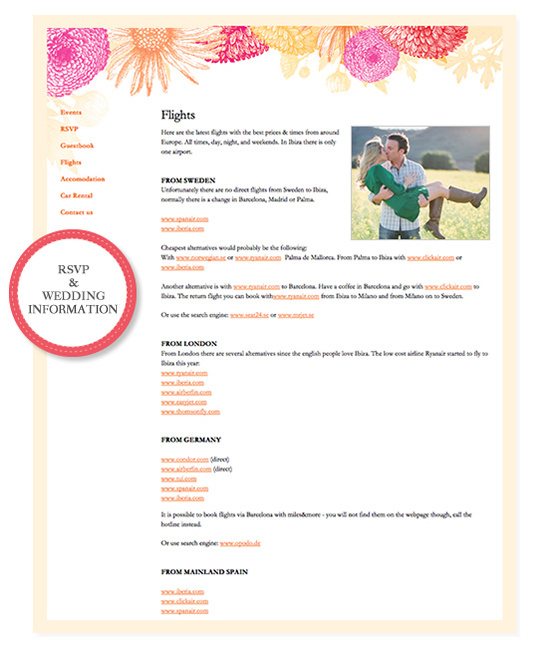 Couples can also update their guests’ RSVP responses online. Above are just a few of the designs offered by Glö . You can see more of their designs by clicking here. 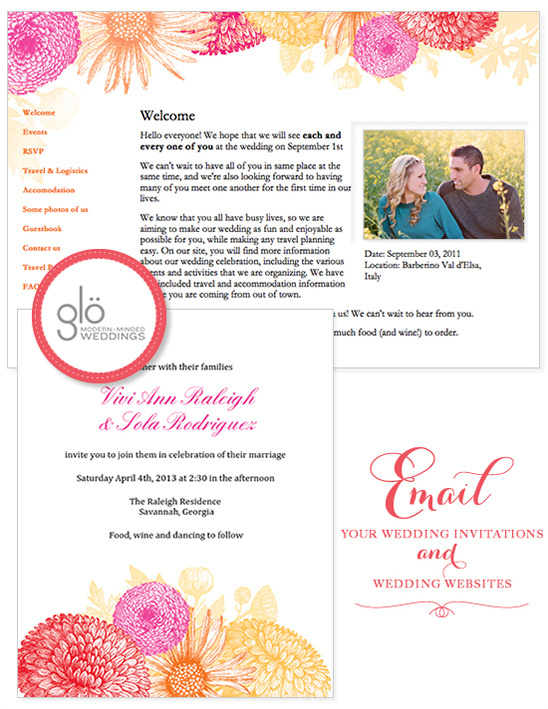 You also have the option of uploading your invite designs or working with a designer for something completely custom.